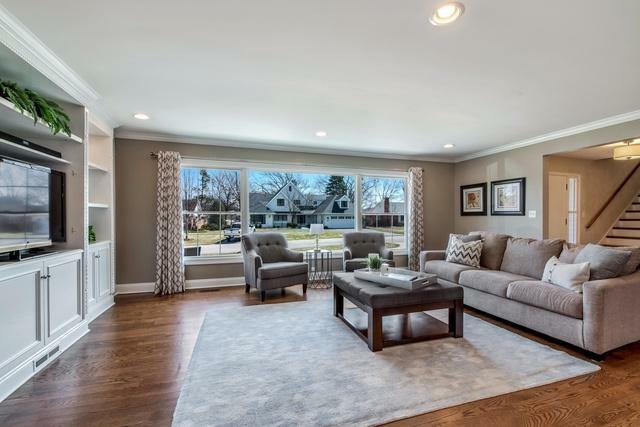 Sprawling brick home located on a spacious lot in the desirable Canterbury Park neighborhood of East Glenview. 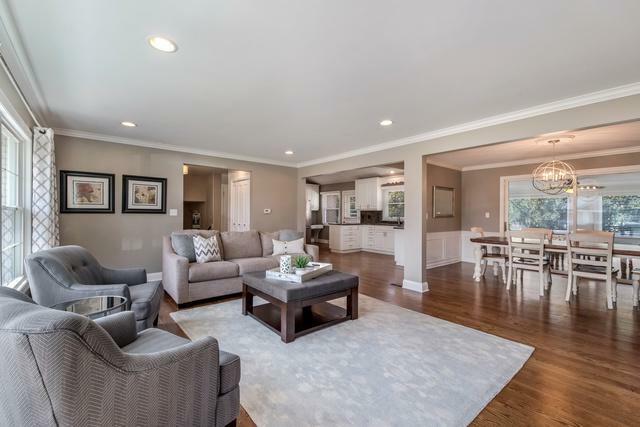 Amazing open concept main level with hardwood throughout including the living room with built-ins that opens to the dining room and the kitchen with white cabinets, granite counters, and recently updated stainless steel appliances. Main level sunroom with brand new windows, painted paneling, and sliding door out to the two-tiered brick paver patio. 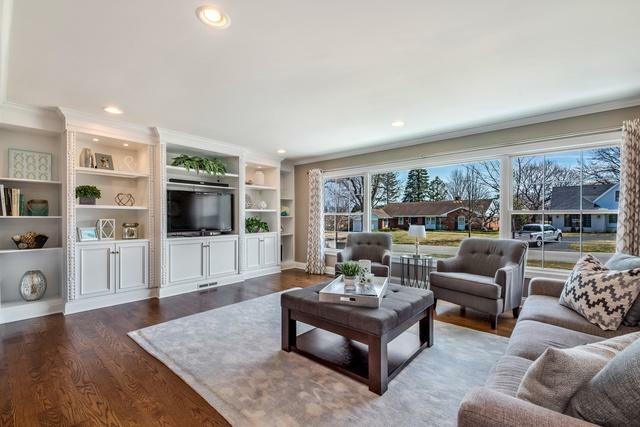 Walk-out family room with hardwood floors, wet bar, corner fireplace, and sliding door out to patio. Mudroom and powder room on this level. 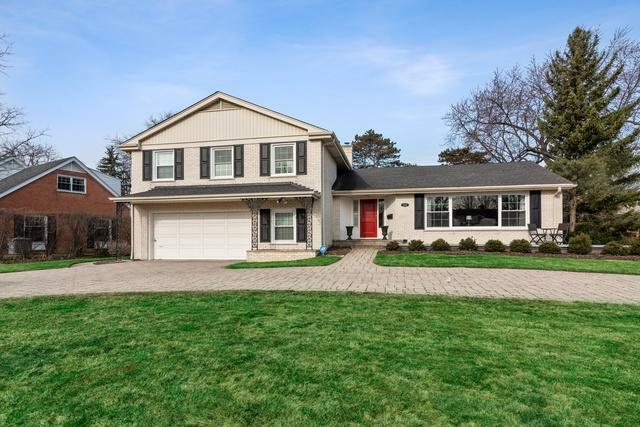 Amazing finished sub-basement with another family room with dark wood laminate flooring, laundry room, and updated full bathroom with large walk-in shower. The second level has hardwood flooring throughout the three spacious bedrooms and two full bathrooms including an en-suite in the master bedroom. Attached two car garage. Amazing fenced yard. Just move-in and enjoy this wonderful home!